A blog discussing sensors and instrumentation. New products, new technologies, and interesting applications. Types of sensors and instruments discussed include: Analyzers, Color Sensors, Displacement Sensors, Flow Sensors, Industrial Weighing, Instrumentation (Data Acquisition), Load Cells & Instrument Hardware. Machine Controls, Pressure Gauges, Pressure Sensors, Sanitary Sensors, Strain Gages, and Temperature Sensors. Courtesy of AP Corp. 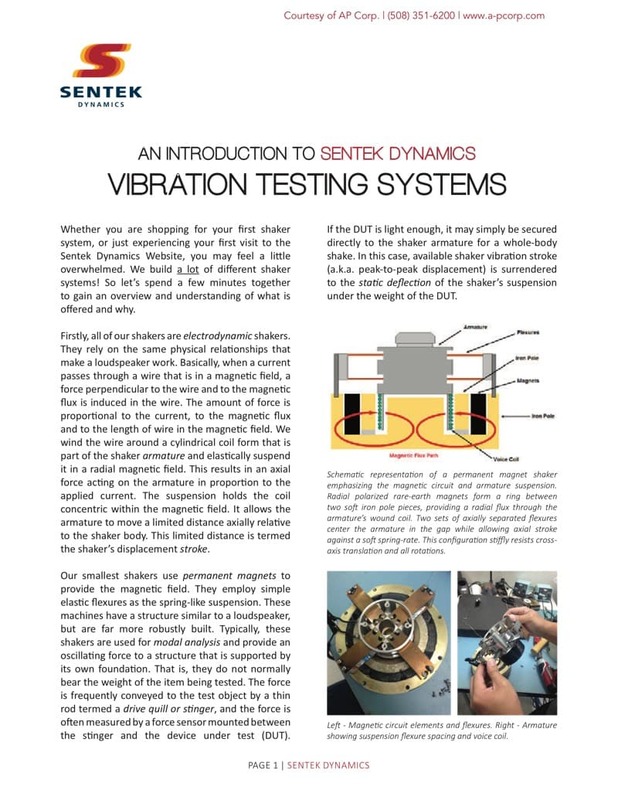 Whether you are shopping for your first shaker system, or just educating yourself on vibration and shaker technology in general, you'll find this white paper on Sentek Dynamics shakers helpful. Sentek Dynamics supplies vibration test equipment to reproduce real-world environmental conditions for global manufacturers and offers technology capable of reproducing a wide-variety of test requirements - vibration (sine, random, shock, SoR, RoR, RSTD and others), data recording and dynamic signal analysis. Although this paper focusses on Sentek Dynamics products, it provides excellent details about shaker technology in general. Get the full Sentek Dynamics Vibration Testing Systems Introduction paper at this AP Corp. web page.